Quilton King Size is guaranteed to make a big impression. It combines Quilton’s superior 3 Ply softness with 25% larger sheets. 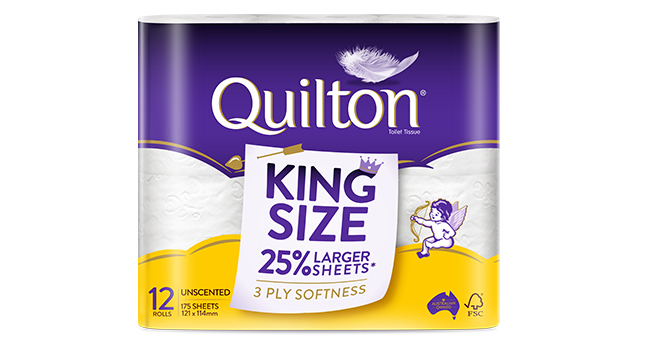 Fit for the Queen as well, Quilton King Size is the more comfortable choice for your royal family throne.